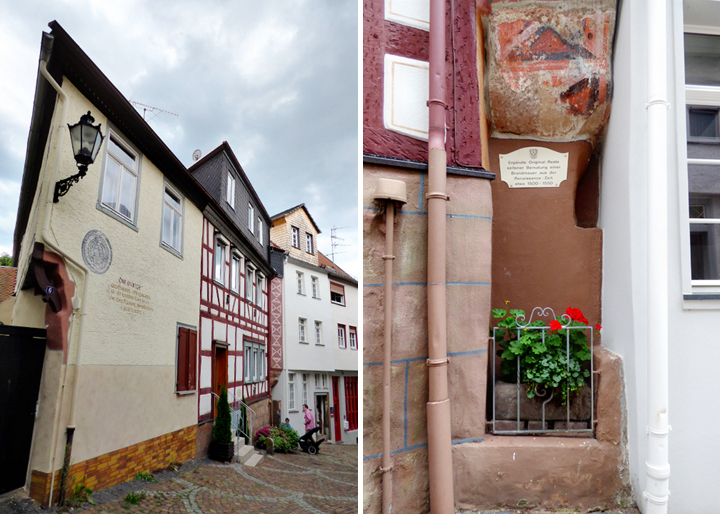 I went to Gelnhausen in September 2014 and I was soooooo anxious to bring back Chris, Fox & Jane to see it for themselves. Because pictures will never do this place justice. It's just too cute for words and photos! Yay for flowers in all the windows! First thing's first - a family picture! The Evans's on Friday September 4th 2015 in Gelnhausen, Germany. A sharp-angled building and something very old. I love me some vine-covered buildings! These kids can smell ice cream from 3 blocks away. They both got "wallila" as Jane calls vanilla. Happy campers with their ice cream cones! 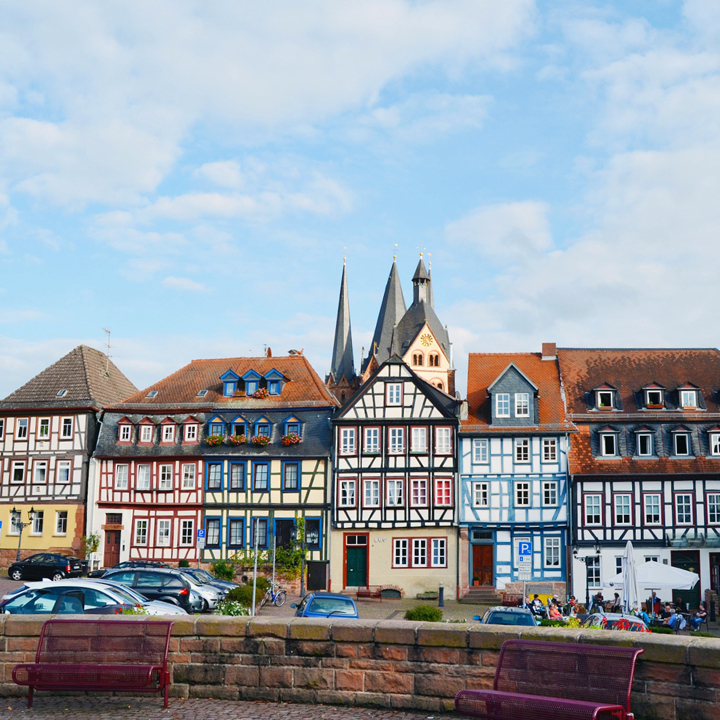 The Untermarkt in Gelnhausen. Like a fairytale! I love when the plaster is thicker than the half timber. Looks like cookie cutters! Fox & Janey, flowers, and hobbit doors! Looking up at the church that dominates the town square. Looking down a particularly cute alley where every door was begging to be photographed. This store looked like it had some treasures inside, so inside we went! Exhibits B, C, D, and E: We thought we might be able to find a magnet at the Tourist Information spot, but it was closed for lunch. That's okay, we got one of those penny engraving things - we don't have any magnets like that yet! 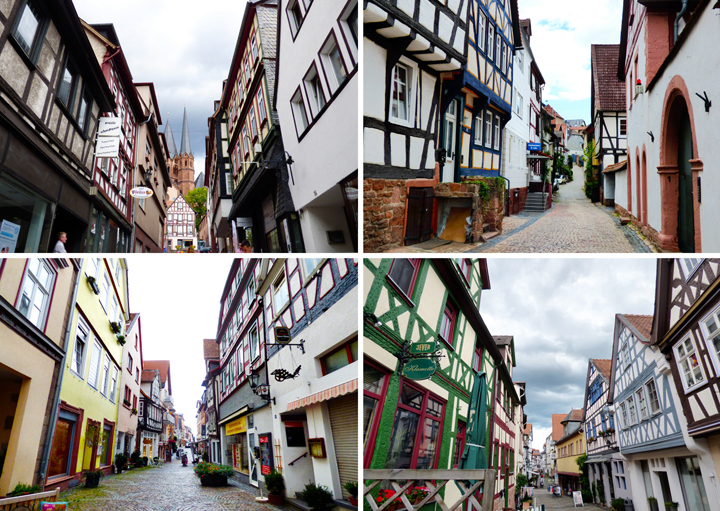 We walked back to the car, stopping to take more photos of the Obermarkt along the way. 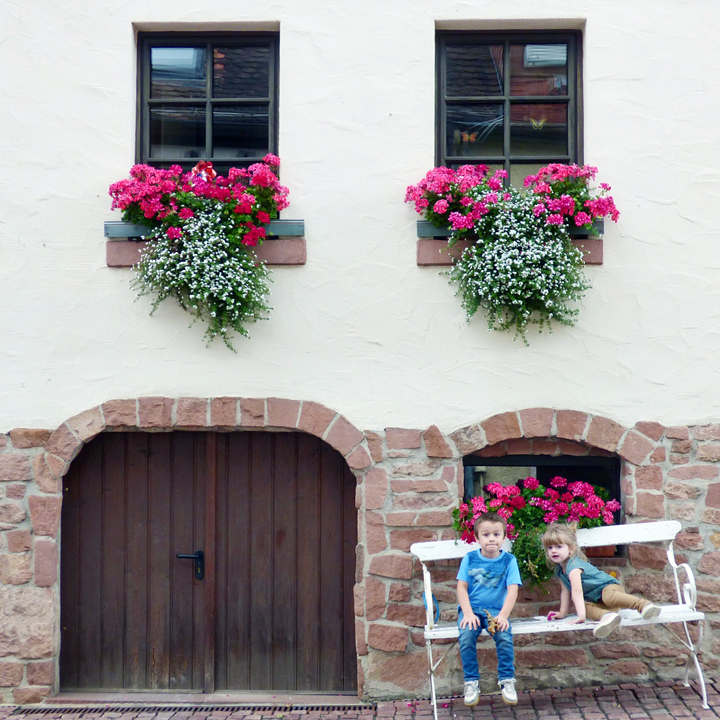 Then we drove the short way to Frankfurt. Fun-filled day! So BEAUTIFUL! I wish we had charm like that here!!!! 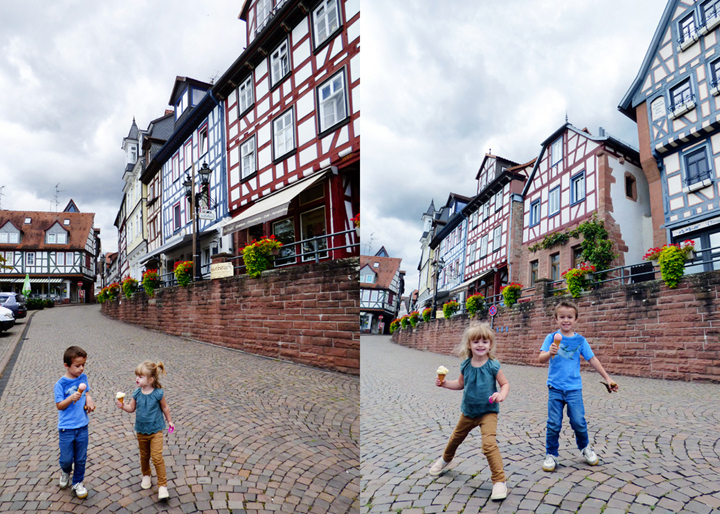 Loving those photos with the kids and their ice creams! Adorable!!!!!! Thanks for bringing us back! It was an adorable town. 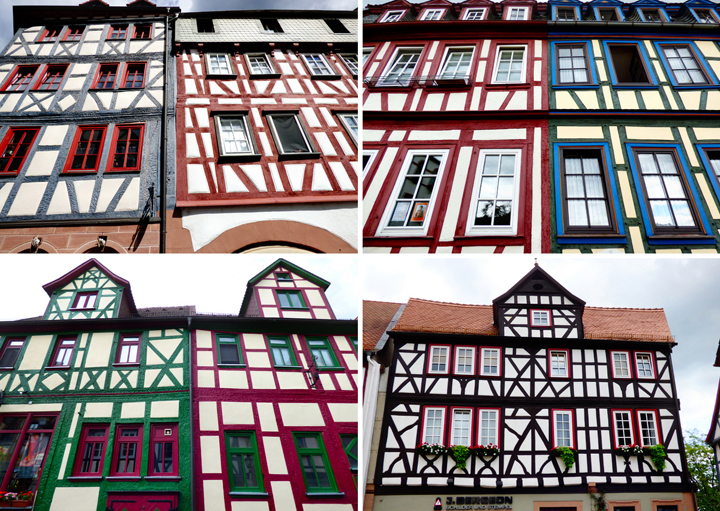 This is some amazing Lego-look-alike German town! LOVE! I am so jelly!